Zalvados and Gris de Pron head to Aintree with live chances. 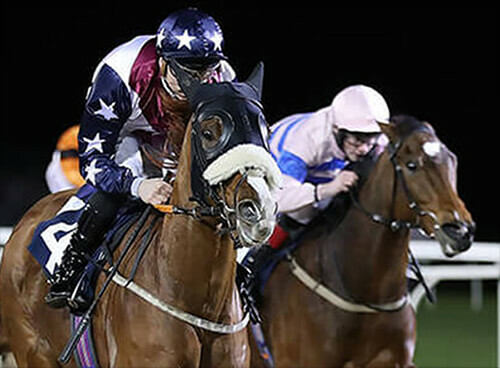 Gris de Pron will be our first runner on the evening card, he is looking to complete a hat trick of victories after getting his head in front at hereford before he put up a brave display and another triumph at Market Rasen. It looks a competitive race and it will be a tough task to concede weight all round but he couldn't arrive in better order. Our second and final runner of the day comes when Zalvados goes to post in the ultra competitive handicap hurdle over 2 mile 4 furlongs, this represents a step up in trip for him but we feel this should suit and he should be right there at the finish. Ian Popham takes both the rides.